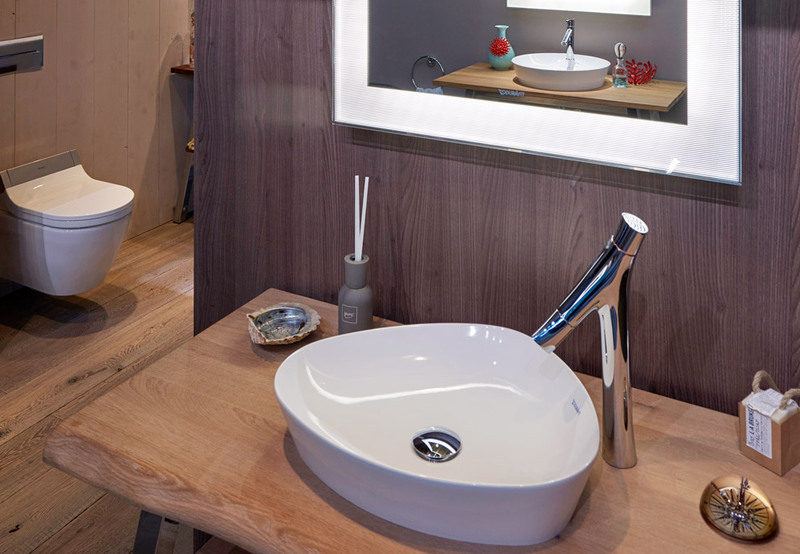 Since 1817, German firm Duravit has been a leading manufacturer of bathroom fixtures. Today, the company operates in 130 countries and has been honored with numerous awards for its innovations in design and technology. The company frequently collaborates with renowned designers and architects like Norman Foster, Phoenix Design, and Sieger Design to create progressive, environmentally conscious products. Here, we’re especially excited to show you their new collaboration with lauded French designer Philippe Starck, as well as a selection of several of their newest additions. 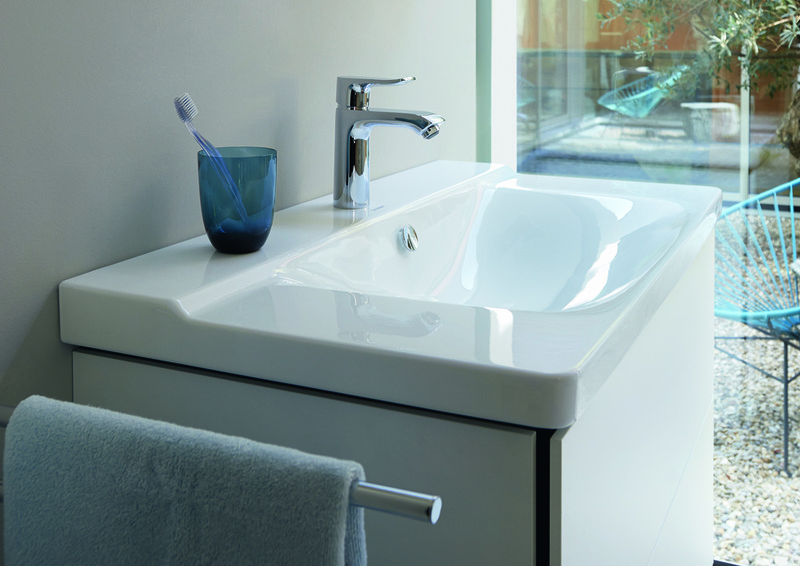 Designer Philippe Starck took his design inspiration from the Eastern Seaboard for his latest collection for Duravit. 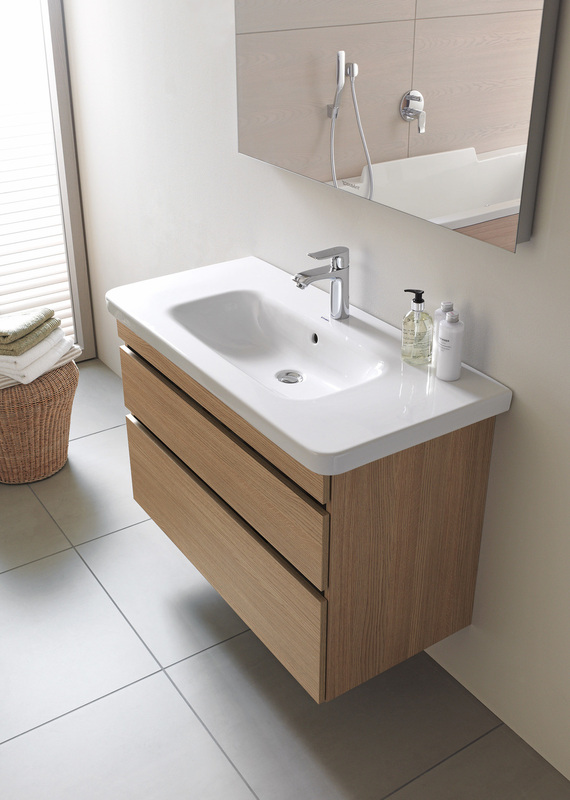 Cape Cod combines Starck’s unique vision with timeless modernity by offering a sleek, thin ceramic washbowl in round, square and triangular shapes; an organically shaped bathtub; an LED-illuminated mirror; and clever storage solutions. 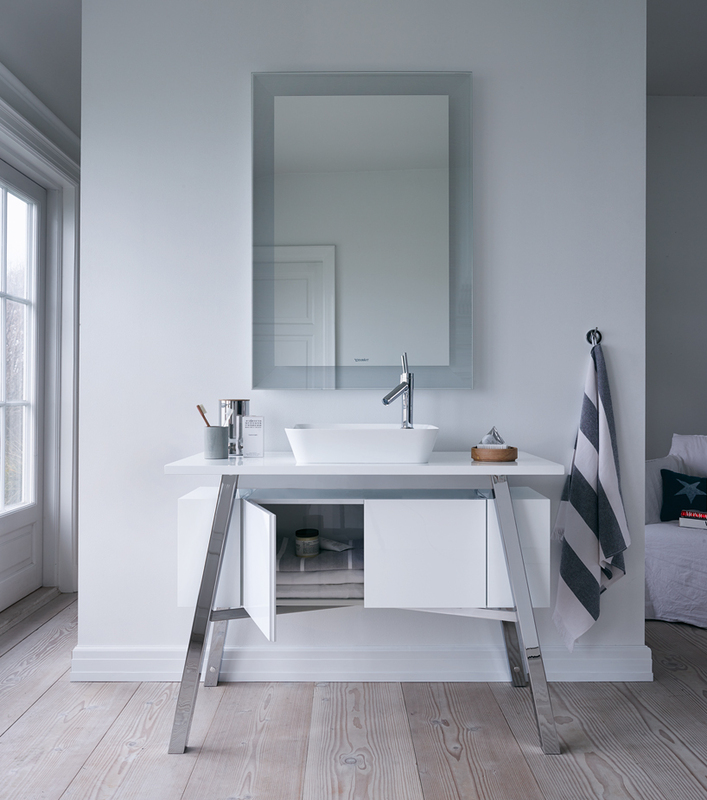 (For a complete look, toilets and bidets from the Starck 1, Starck 2 and ME by Starck ranges offer a harmonious pairing to Cape Cod.) 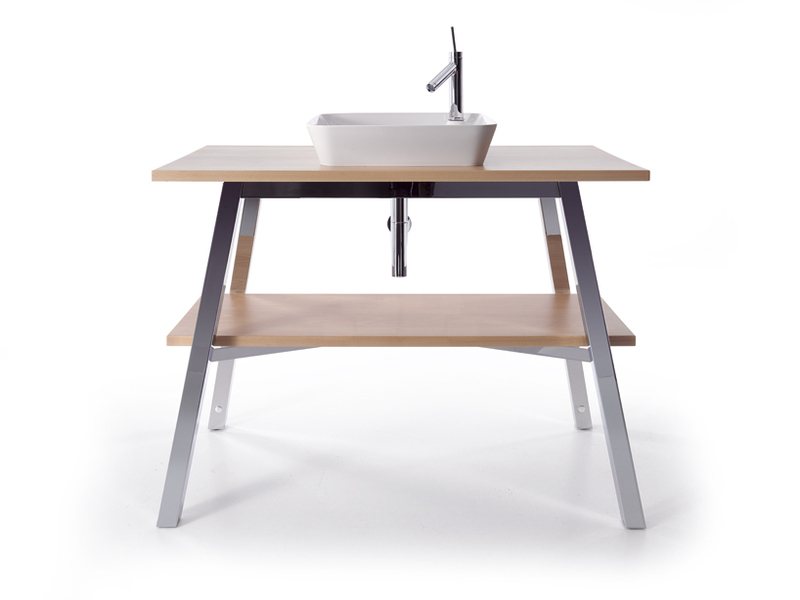 The collection is made using the company’s innovative DuraCeram material and natural woods, with finishes of either chrome or a high-gloss white. You can practice your French and listen to the designer discuss the collection in this video. 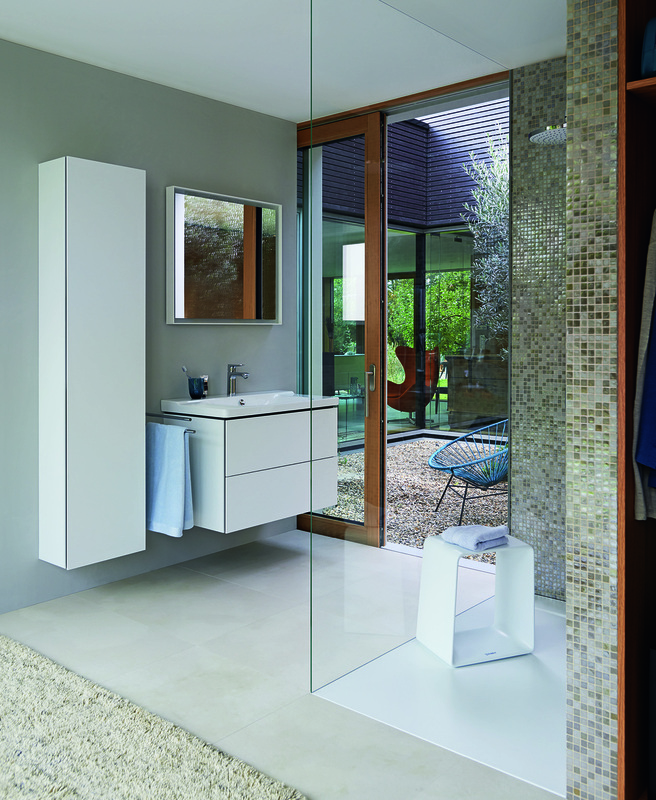 Duravit has expanded its popular 2013 DuraStyle bathroom series with additional furniture designed by Matteo Thun. 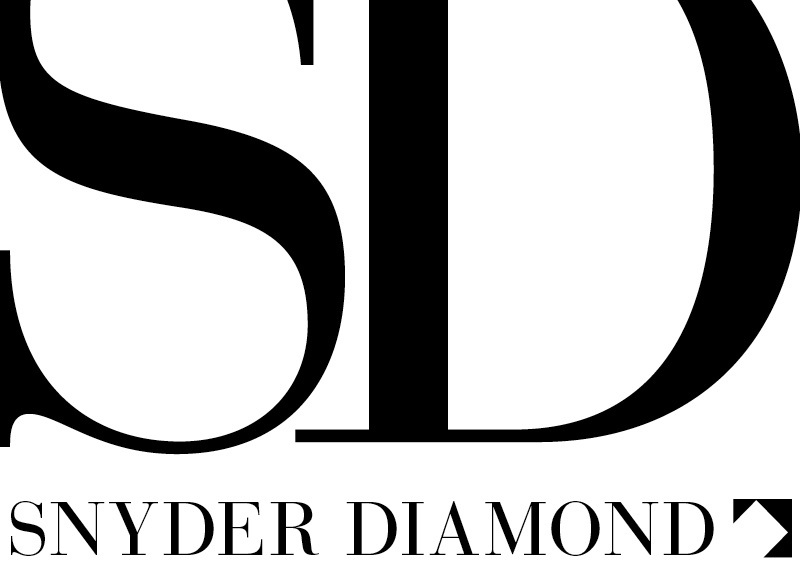 “The expansion of the DuraStyle series is our direct response to its enthusiastic reception by the market. 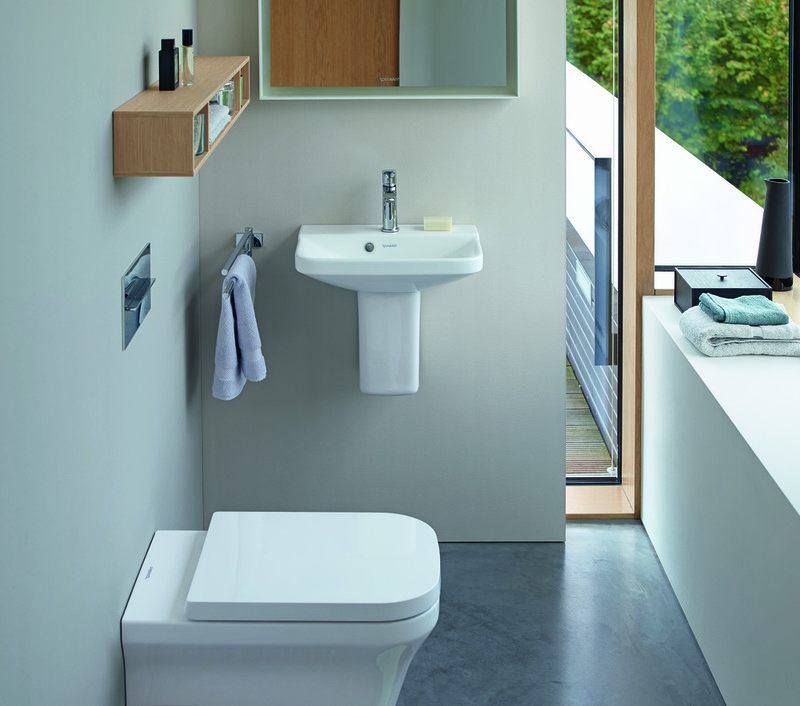 We are always listening, and we remain dedicated to our customers’ needs–as such, we’re happy to extend the application possibilities of this diverse collection,” says Duravit USA President Tim Schroeder. 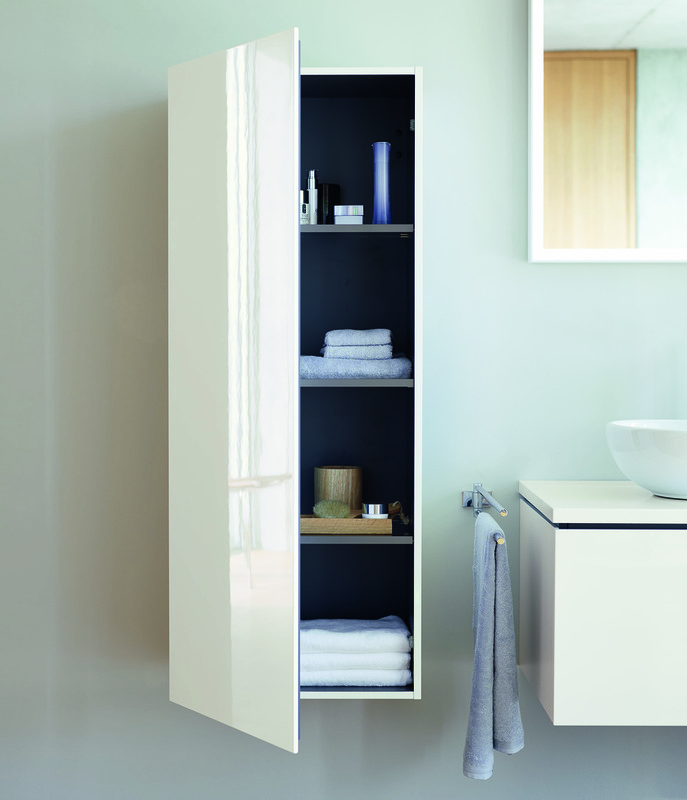 The collection suits both residential and commercial environments with its slim, minimalist styling and now offers a range of tall cabinets, multi-color options for existing designs. Later this year, the company will unveil additional components, including wall-hung vanities and compact furniture washbasins. 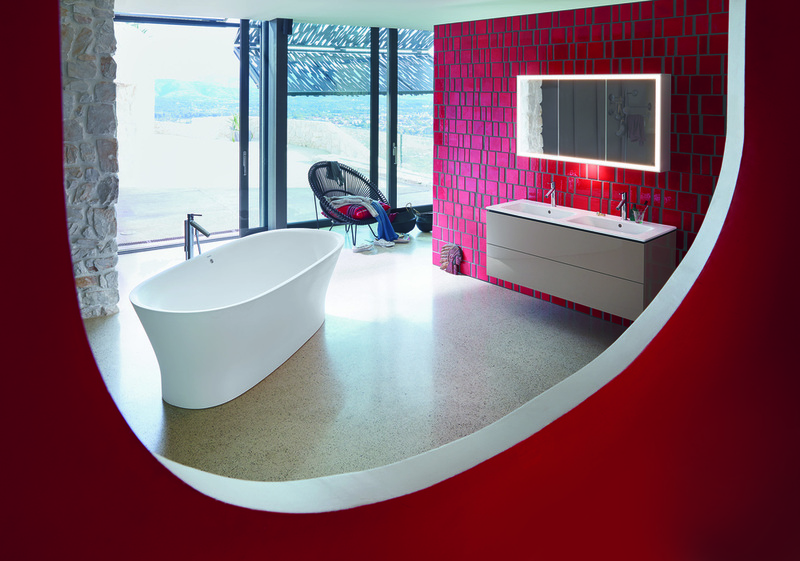 Developed specifically for the North American market, the Architec panel tub is a modern approach to the standard alcove bathtub. An ideal option for small spaces, this compact tub eliminates the need for costly installation fees while providing lasting benefits, such as easy cleaning and a sleek appearance. 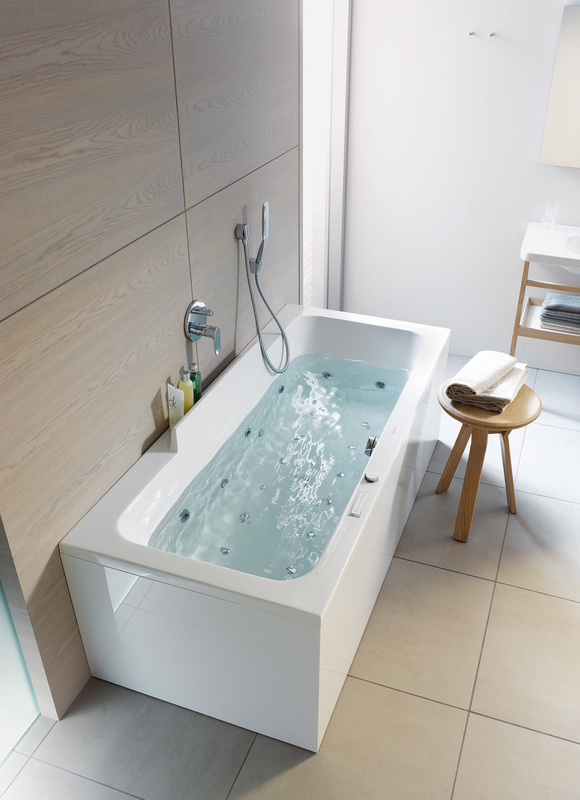 With sophisticated features like the smooth apron front and adjustable feet, the tub offers quick and easy installation, which substantially reduces set up costs. 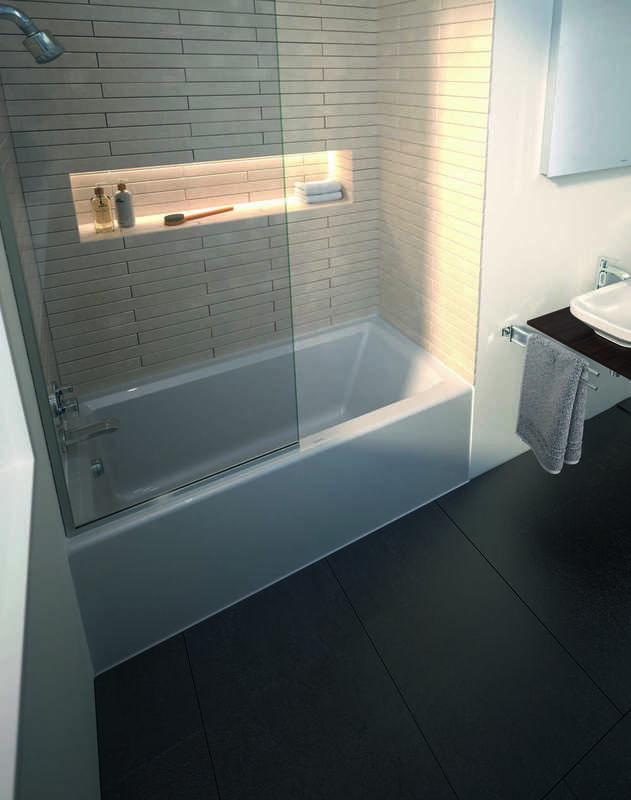 Composed of durable, high-performance acrylic, the Architec tub is a flexible, affordable option for contemporary spaces. P3 Comforts is the third collaboration with Phoenix Design and, as its name implies, puts the focus very much on comfort and ease of use. As Phoenix Design co-founder Tom Schönner explains, “When it comes to comfort, people’s needs go far beyond the purely physical aspects. 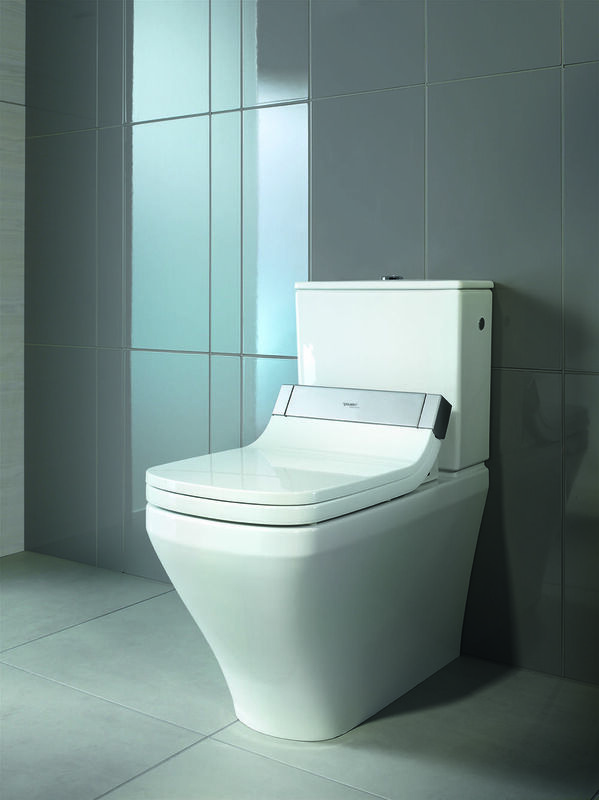 With practical design, it is possible to create a sense of calm and security in the intimacy of the bathroom.” Elegant tap platforms, beautiful bathtubs that can be fitted with massage jets, asymmetric washbasins, sleek shower trays, and rimless toilets serve as elegant solutions to any contemporary bathroom. 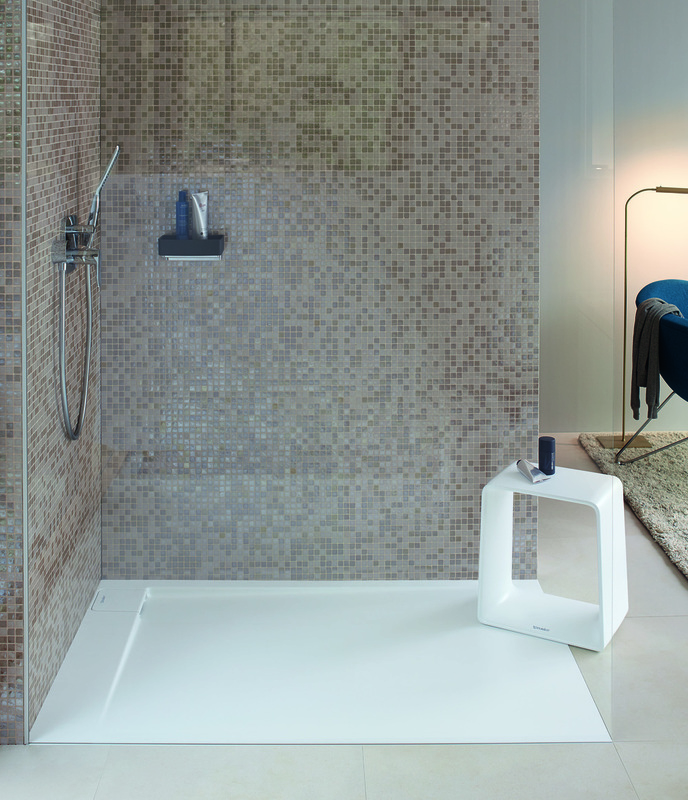 Designed by Christian Werner, the new L-Cube line of bathroom furniture offers a modular sensibility, allowing users to implement the furniture as building blocks and create the best layout for their lifestyles. On top of its outstanding functionality, L-Cube features distinct design touches, such as a shadow gap on the fronts and sides of the furniture and an abundance of both traditional and unusual finishes. 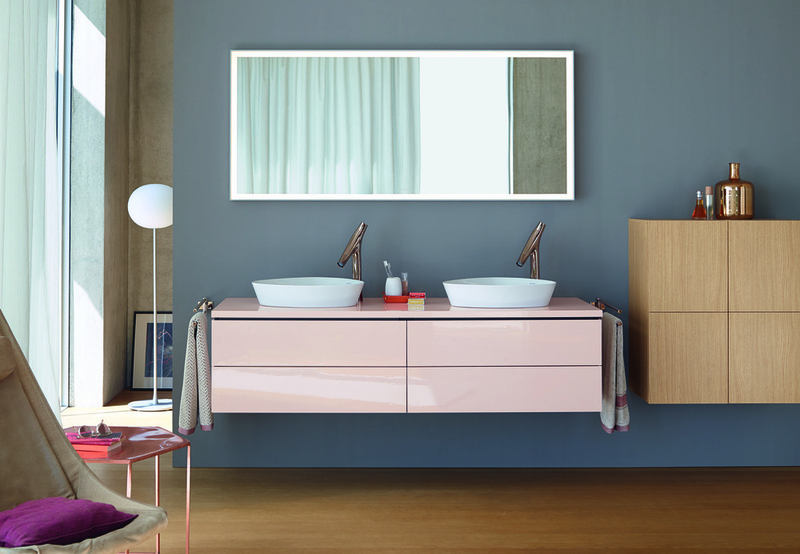 The endless combinations of unique colors, storage, and furniture options enable a custom bath solution that can be paired with some of Duravit’s latest ceramic introductions. “People are looking for designs that match their lives and needs seamlessly,” adds Schroeder. “L-Cube provides a tailored, customized plan that can be formulated to work with anyone’s lifestyle, regardless of their age, space, or budget.” The collection’s distinguishing feature is its clean, geometric design—a minimal aesthetic that fits a variety of spaces and styles. It’s also incredibly flexible because it comes in so many sizes: vanity units are available in models ranging from 24- to 48-inches, and consoles offer 19- and 20- inch depth options. The storage pieces are available in a floating style, on a chrome frame, or on a panel for a standing version. Inside the one- or two-drawer units, high quality drawer dividers in maple or walnut create a proper place for all your contents. Tall cabinets in two different heights are also available, as are mirrors with integrated dimmer function that are illuminated on all four sides. And if that’s not enough variety, there are more than thirty surface options including High Gloss Apricot Pearl, High Gloss Jade, High Gloss White and Dolomite Grey.